News Archives - Mulzer Crushed Stone, Inc. News Archives - Mulzer Crushed Stone, Inc. 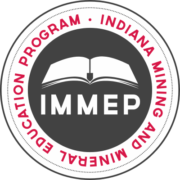 The Indiana Mining & Mineral Education Program (IMMEP) believes that education is an important part of being successful in a life-long career. IMMEP wants to help students interested in mining related careers achieve educational goals without financial road blocks. Aiding in this program objective, IMMEP will be awarding up to six (6) $2,500 scholarships this spring. The purpose of the IMMEP Scholarship Program is twofold, (1) Strengthen the Indiana aggregates industry by promoting careers in the industry and supporting education of individuals seeking a career in the aggregates industry, and (2) Establish relationships with institutions of higher learning providing education supporting careers in the aggregates industry. IMMEP is currently accepting applications online at www.immep.org. The application deadline is March 31, 2019. Applications must be submitted online through the web form at www.immep.org. INDIANAPOLIS – The Indiana Ready Mixed Concrete Association (IRMCA) presented Ken Mulzer, Sr., Mulzer Crushed Stone, Inc., with its prestigious 2018 E.B. Rayburn, Jr. Award. 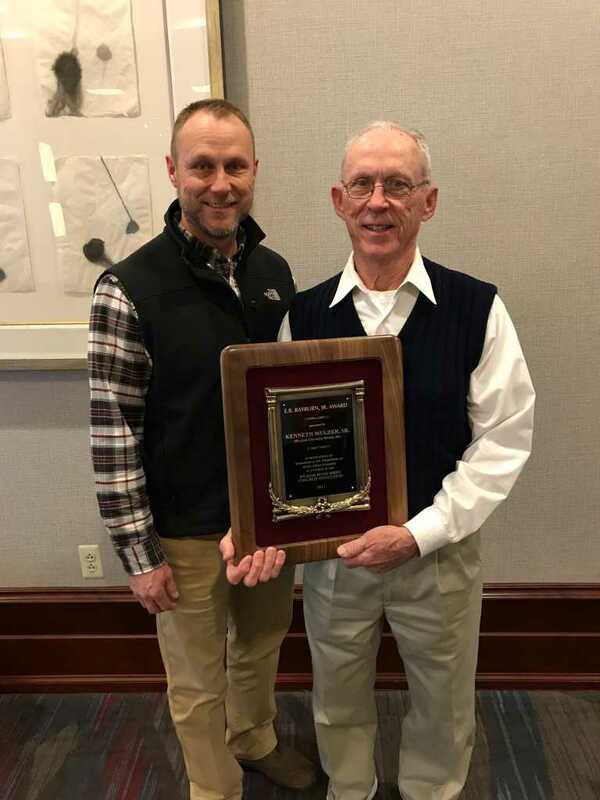 The award was established to recognize outstanding leadership and innovation in marketing efforts in the ready mixed concrete industry in Indiana and was presented during the recent 2018 IRMCA Short Course Program. 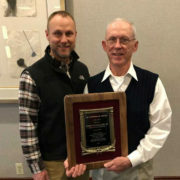 Ken Mulzer, Jr. poses with his father, Ken Mulzer, Sr. after receiving the E.B. Rayburn, Jr. Award. Ken Mulzer, Sr. is a retired construction materials executive who, alongside his four siblings, helped grow the family aggregate business into an industry powerhouse in the production of crushed stone, sand and gravel, including concrete and asphalt services. The family business got its start in 1935 when his father Arnold and uncles Edgar and Roland formed Mulzer Brothers, a small construction firm. In 1978, the company, led by Arnold, transformed into what is known today as Mulzer Crushed Stone, Inc.
Mulzer Sr. began his career at a young age doing odd jobs around the quarries and concrete plant. He went on to graduate from Valparaiso University with a degree in Business Administration and a minor in Geology before returning home to join the family business. Over the years, Ken has been a staunch advocate for the construction materials industry on the local, state and national levels, he has served as Chairman of the Board of the National Sand, Stone & Gravel Association, been a past President of the Indiana Mineral Aggregates Association, and has held numerous leadership roles in industry and community organizations near and far from his home in Santa Claus, Indiana, which he shares with his wife of 50 years, Andrea (Dee). The Indiana Ready Mixed Concrete Association (IRMCA) supports and promotes the use of high quality Portland cement concrete in pavements, parking lots, structures and residential construction. The IRMCA provides technical and informational support for its members and their clients. For additional information contact Jerry Larson, executive director, at (317) 733-1902 or see: www.irmca.com. Mulzer Crushed Stone, Inc. will offer free sand to the public beginning immediately at our Henderson, Kentucky; Griffin, Mt. Vernon, Evansville, Newburgh, Rockport and Tell City, Indiana locations to aid in flood control. Residents will need to contact their local or county Emergency Management Agency to obtain unfilled sandbags and bring shovels to fill them. Henderson, KY EMA – Pick up sandbags at Henderson Co. Road Dept. on Sam Ball Way. 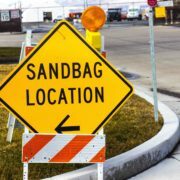 Sand will be available at each location 24 hours a day and signs will be posted providing directions to the sand piles after hours. Mulzer Crushed Stone announced today that employees have completed 1.4 Million work hours without incurring an occupational injury or illness that resulted in days away from work or death. 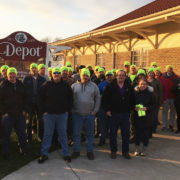 “This momentous milestone is being celebrated company-wide and is a testament to the safety driven goals put in place by our management and executed by our entire team, making Mulzer Crushed Stone Safety a way of life,” commented President Ken Mulzer, Jr. Creating a culture of safety with milestone results in a construction materials business is not always an easy road to navigate, but Mulzer Crushed Stone has a team of Safety Professionals who are known around the workplace for creating fun, innovative programs and techniques to train and educate employees on all things safety. For example, our Team has found that a little competition can go a long way in classroom training over topics that can often be somewhat lackluster. Who doesn’t love a good video game or quiz contest against your co-workers? Other unique aspects to the Safety Program include designated equipment specific training employees who instruct, monitor and test new employees to verify that they are ready to work independently. To further illustrate the 100% safety culture mindset, employees have been encouraged to share their safe practices in action via social media with the #MulzerSafetyMillion. IMMEP is currently accepting applications online at www.immep.org. The application deadline is March 31, 2017. Applications must be submitted online through the web form at www.immep.org.